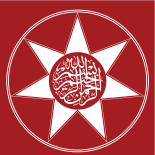 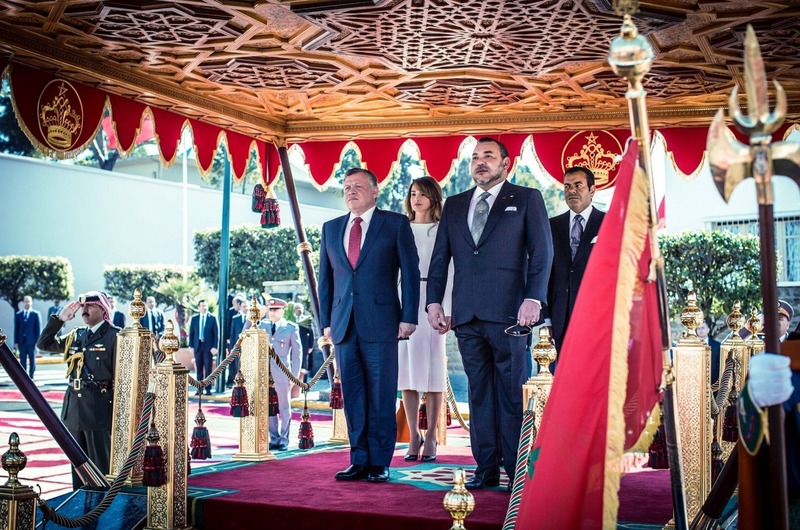 Sahib al-Jalalah, ’Amir al-Mu’minin, Nassarahu-Illah; His Majesty Commander of the Faithful, may God grant him victory, the King Mohammed VI of the Kingdom of Morocco and His Majesty King Abdullah II ibn Al Hussein of the Hashemite Kingdom of Jordan. 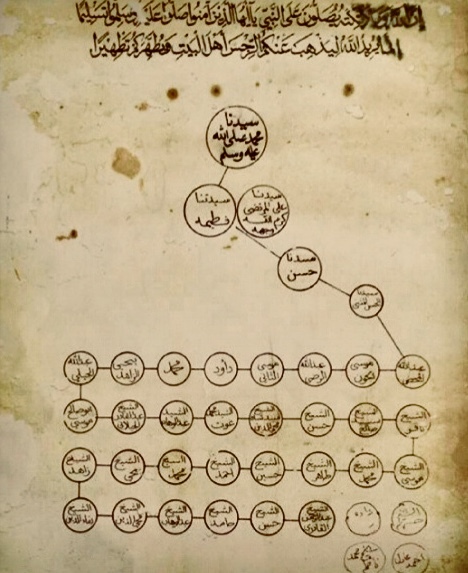 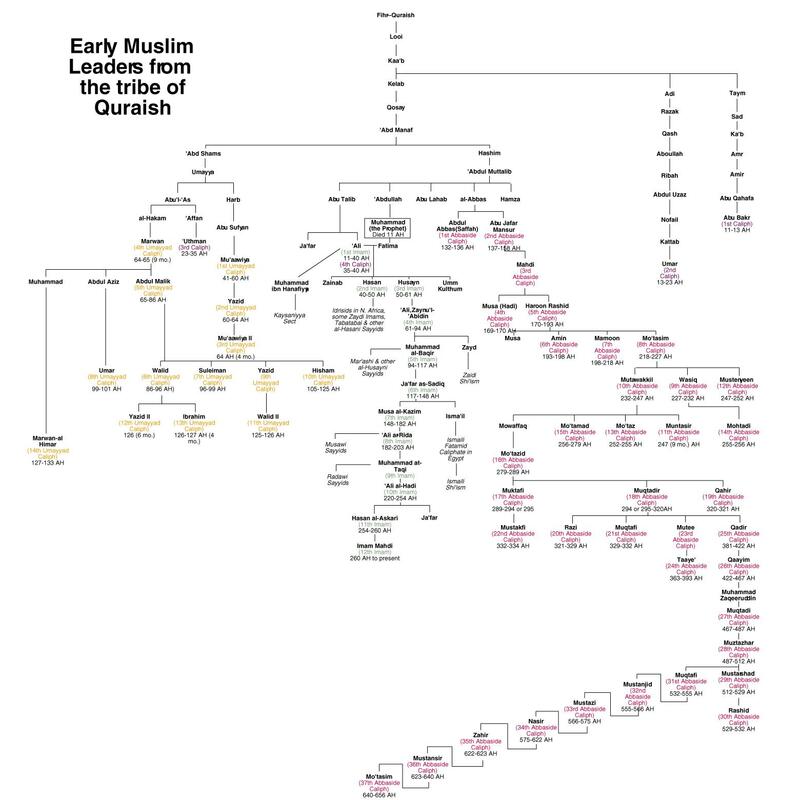 A perserved fragment of Sayyid Ahmed Amiruddin’s patrilineal family tree written on parchment, tracing his descent back to Imam Hasan al-Askari (’alaihi salam). 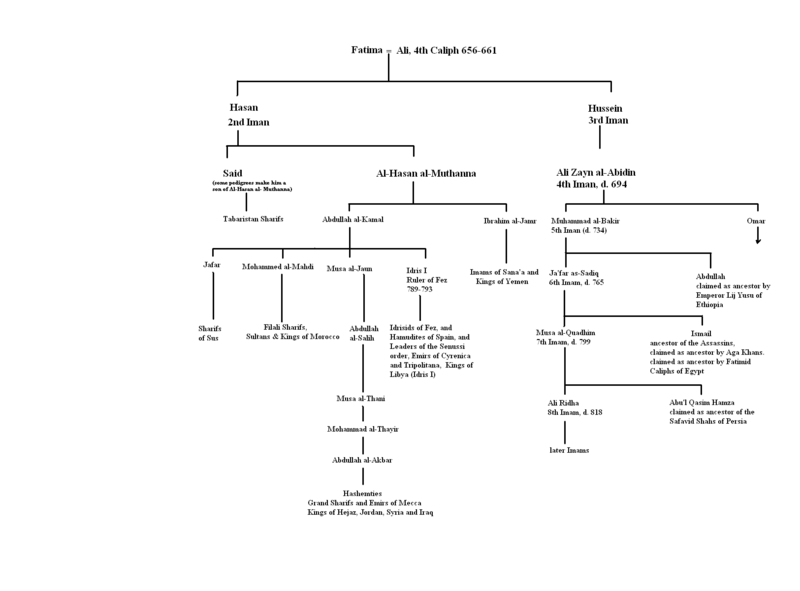 Muslim chivalry: Dhulfiqar banners woven during the 15th century are often decorated with a two-bladed sword wielded by the Holy Prophet’s son-in-law ‘Ali b. Abi Talib and shield shaped. 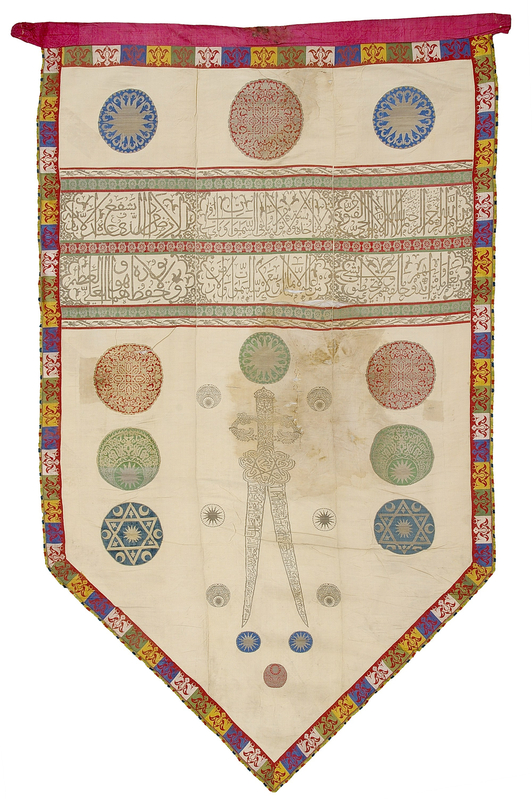 This particular banner, made in 1683 in North Africa, was made of metallic thread and maroon silk. 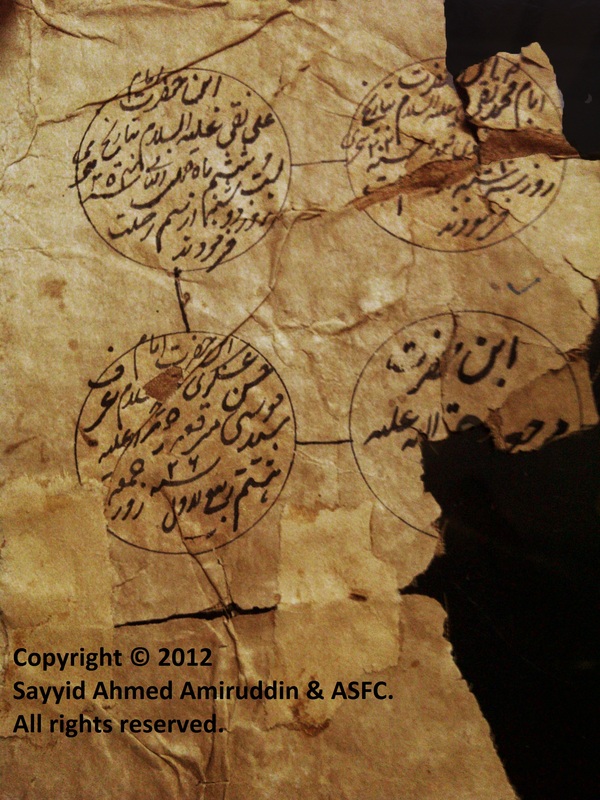 Its inscription is written in the distinctive maghribi script with uniform thick letters and low sweeping curves.